In 2003, leaders from the ASEAN bloc of nations agreed to establish an ASEAN Community by 2020, comprising three pillars, namely the ASEAN Political-Security Community, the ASEAN Socio-Cultural Community, and the ASEAN Economic Community (AEC). Subsequently, they decided to hasten the establishment of the AEC to 2015. The AEC is an initiative to transform the region into an area with free movement of goods, services, investment, skilled labor, and a freer flow of capital. Will the AEC live up to the hype? And if so, will it do so by 2015? The vision for AEC 2015 is the partial economic union of 10 ASEAN countries, namely Thailand, Myanmar, Laos, Vietnam, Malaysia, Singapore, Indonesia, the Philippines, Cambodia, and Brunei, to usher in a new era of economic co-operation. Integration into the global economy. Of late, there have been limitations to growth stories in other parts of the world; making ASEAN a more attractive region for international companies. Rising business costs in China have affected many companies. Labor costs in the urban manufacturing sector have risen about 17% each year from 2003 to 2010, with costs measuring at USD4,579 per employee per year in 2010, compared to USD1,534 in 2003. Taiwanese companies, such as electronics company ITEQ and bicycle-maker Giant Manufacturing, which were once lured by China’s low costs, have since relocated production to their own home country. Besides, geo-political and intellectual property issues have made both current and potential investors reconsider China as an investment location. According to a survey, companies’ second biggest concern, after rising costs, was the keen competition from local players. It was cited that the state favored local companies; offering them benefits such as easier access to government credit, preferential treatment in licensing, approvals, tax benefits as well as lower land costs. India is still not perceived as a prime location for foreign direct investment, despite its population of 1.2 billion and relatively low business costs. Inadequate infrastructure and political concerns are the main barriers to investment. The lack of well-developed road networks, ports, airports and power supply has been a perennial concern. To compound the issue, most infrastructural projects have faced delays due to excessive regulations and difficulties in the acquisition of land. Only 25% of public-private partnership infrastructure projects are on schedule. Hopes that political reform would ease the path to infrastructural growth have been dashed. Corruption and policy uncertainty, such as the government’s back-tracking on its decision to ban cotton exports last year, have further displaced confidence among potential investors. Infrastructure problems in Brazil have persisted. However, the larger concern is about Brazil’s high dependence on commodity exports. Although the country’s abundant access to natural resources has been a source of competitive advantage, the required shift towards value-added manufacturing will demand significant political will and a revamp of policies. ASEAN has an aggregate economic size of USD2.3 trillion, a combined population of 616 million, an average real GDP growth rate of 5.4% in 2012, and an estimated GDP per capita of USD3,745. These are strong pull factors for global marketers. Just as the growth stories in other countries have become less rosy, that of ASEAN seems to be on the rise. Many ASEAN countries are seeing healthy, if not robust growth rates, based on sound fundamentals and with decent mid-term prospects. Together with the advent of the AEC, this may position the 10 ASEAN countries as attractive alternative locations for foreign direct investment. Leading the pack is Indonesia, the 16th largest economy and fourth most populous nation in the world, with 247 million people. The country’s economy is a diversified one, and has witnessed sustained growth with low inflation over the past 10 years. Indonesia’s economic growth within this period has been stable when compared with nations in the OECD or BRICs. Today, Indonesia has about 55 million skilled workers. With a relatively young and increasingly urbanized population, the country is expected to add an estimated 40 million people to its 45 million-strong consuming class (a proxy for the middle-class) in 2020 and another additional 50 million people by 2030 – bringing the total to 135 million. With domestic consumption already propelling growth, this large increase in the consuming class will further uplift the country’s growth story. This trend is affecting other urban centers outside of Jakarta, such as Medan, Bandung and Surabaya. As the region’s biggest economy, Indonesia is poised to play a leading role in the unified trade and investment arena of ASEAN. A strong economic recovery in Thailand and the Philippines is further strengthening the region’s attractiveness to investors. Though the Philippines saw a decline in quarter-to-quarter growth between 2010 and 2011, it has since recovered and registered its fastest growth at 7.8% in the first quarter of 2013. Though Thailand unexpectedly experienced severe flooding in 2011, it managed to recover rapidly since then. Thailand’s nominal GDP grew by 6.5% in 2012 with real GDP growing by 4.4% in 2013, albeit facing headwinds due to delayed government spending and a slowdown in China. Of particular interest is the fact that Thailand’s economic growth has not been derailed by the nation’s extremely divisive and unruly politics. This underlines the Thai economy’s sound fundamentals. Of particular interest is the fact that Thailand’s economic growth has not been derailed by the nation’s extremely divisive and unruly politics. Perhaps the most exciting story in ASEAN, and perhaps even globally, is that of Myanmar – the world’s only newly opened market. The economy is expected to grow by 6.5% in the fiscal year of 2013, due to policy reforms stemming from the reinstatement of the European Union’s Generalized System of Preferences for duty-free and quota-free market access; as well as the steady easing of restrictions by global financial institutions, which will improve the flow of credit to the private sector. The government is also committed to the upgrading of Myanmar’s infrastructure, and is keen on international firms participating in the process. How will AEC 2015 benefit investors? One of the AEC’s goals – the reduction of tariffs on physical goods trade amongst ASEAN countries – has largely been realized, with the exception of sensitive product categories like rice. This is a remarkable achievement. Progress on liberalizing non-tariff barriers, movements of persons and capital as well as trade in services are lagging behind, but may catch up in 2014 and 2015. The liberalization in trade in goods has already yielded results. In 2011, 25% of ASEAN’s total merchandise trade was intra-regional. The bloc’s most open economies – Singapore, Malaysia, and Thailand – are leading this intra-regional trade. Vietnam, Cambodia, Brunei, and Laos are also seeing sharp increases in their trade-to-GDP ratios, which are now close to 100%. The remaining three countries – Indonesia, the Philippines and Myanmar – have a relatively lower trade-to-GDP ratio; indicating large potential for increased intra-regional trade, given the size of the Indonesian economy. 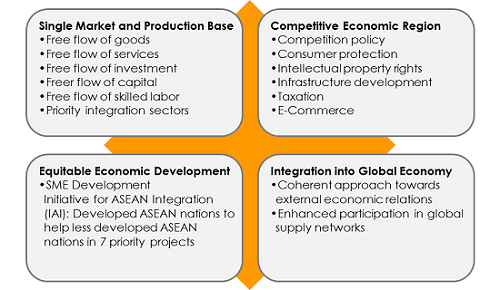 To illustrate the potential benefits of AEC 2015, one can look at industries with multiple production bases across ASEAN. The best example of this would be the ASEAN automotive industry, which is dominated by Japanese companies. The above diagram illustrates a typical automotive production network, with Japan at the helm. Within this ASEAN network, Thailand serves as the main assembly base, with Indonesia, Malaysia, and the Philippines as producers of parts and components. With the full implementation of the AEC, such inter-connectedness can only increase. We may also see some changes to the model. Manufacturers who are eying Indonesia’s large domestic market may shift some production to Indonesia. Another benefit the AEC brings is its positioning of ASEAN as a single market. According to the IMF, there has been an increasing trend of intra-regional trade being influenced by final consumer demand. This suggests that consumption will become a significant driver of ASEAN integration in future. This will likely be driven by the growth of middle-income consumers in Indonesia, Thailand and the Philippines. According to the Japan External Trade Organization, Japanese direct investment in ASEAN from January 2013 to June 2013 increased by 55.4% to USD10.29 billion, while direct investment in China decreased by 31.1% to USD4.93 billion in the same period. This indicates a concerted effort by the Japanese political and business elite to shift investments away from China to some extent. This may have been caused by incidents such as the South China Sea territorial disputes and the sudden ban on rare earth exports from China in 2011. Though territorial disputes between Japan and some ASEAN countries exist, ASEAN remains as the preferred alternate production location for Japanese investors. While China is still dominant in exports of rare earths, the recent rare earths plant by Australian firm Lynas Corporation in Malaysia exhibits ASEAN’s capability to rival China and other nations as an alternate production base. investors also see ASEAN as an attractive location for global R&D and global logistics; especially Singapore, which is ranked first on the World Bank’s global Logistics Performance Index 2012 (Malaysia is ranked 29th and Thailand at 38th place), and has a ready pool of skilled labor for R&D. Japan’s commitment in ASEAN can be seen from Japan’s Prime Minster Shinzo Abe’s visit to Myanmar in May 2013, as well as the writing off of Myanmar’s USD2 billion debt to Japan and extension of new aid. In return, Japan, hopes its firms will receive favored access in the country, especially in the port of Thilawa, where a future industrial zone is being developed. Japanese direct investment in ASEAN from January 2013 to June 2013 increased by 55.4% to USD10.29 billion, while direct investment in China decreased by 31.1% to USD4.93 billion in the same period. Japan is not the only country that is sanguine about ASEAN’s potential. According to AmCham’s 2014 ASEAN Business Outlook Survey of 475 senior executives representing US companies operating in ASEAN, 79% of U.S. companies reported a higher level of trade and investment in the region over the past two years. 91% of them shared that this level will significantly increase over the next five years. With regards to AEC 2015, 77% of U.S. companies stated that ASEAN’s integration will be vital in aiding their companies’ business in the region. Slightly over half shared that they are preparing their strategies based on the outcome of AEC 2015, such as the elimination of trade barriers in goods, services and investment. Expectations of AEC 2015 are running high among corporate America and corporate Japan. Will these expectations be met? Expectations of AEC 2015 are running high among corporate America and corporate Japan. Intra-regional trade has shown progress. The intra-ASEAN trade share grew from 17% in 1990 to 25% in 2011. 87.7% of the intra-ASEAN trade was accounted for by Indonesia, Thailand, Malaysia, and Singapore (34.4%). Whilst progress has been particularly good in some areas – such as the number of free trade agreements ASEAN has with other countries, as well as the elimination of internal tariff barriers for goods – there is still a lot of work left to be done. Two lagging components are the elimination of non-tariff barriers and the liberalization of both services and investments. Pressure to protect domestic industries still runs high, and there is also little transparency and standardization in investment regulations. In terms of tariff reduction, the Common Effective Preferential Tariff (CEPT) scheme has an Inclusion List (IL), Temporary Exclusion List (TEL), Sensitive List (SL), and General Exclusion List (GEL). After several changes in the scheme, all tariffs for ILs were eliminated from January 2010; accounting for 99% of total tariffs for ASEAN, and reducing the average tariff to 0.9%. However, it remains difficult to reduce tariffs on SL products, particularly on rice and sugar, due to national food security concerns in some ASEAN countries. 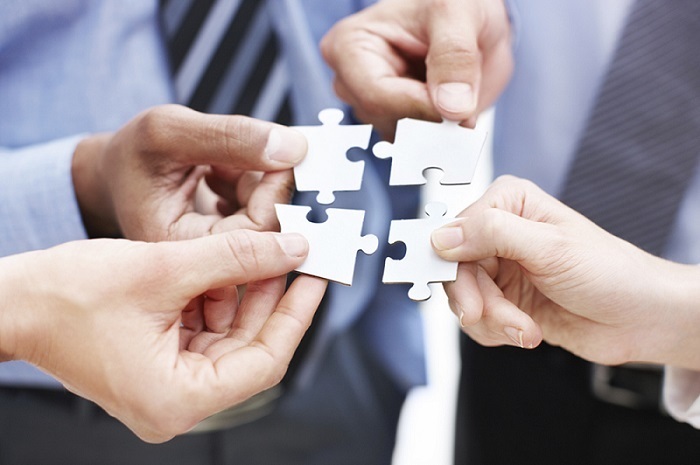 The lack of alignment in legal and regulatory regimes remains a barrier to implementation. The major differences in terms of economic progress and language among ASEAN member states will also slow down progress in creating a common economic area as envisaged in the AEC’s statement of aims. More importantly, beyond the government sector and large Multi-National Companies, there has been minimal publicity and education on AEC 2015 within the ASEAN region. While large international organizations have begun preparations, smaller local companies may face stiffer competition regionally, and their lack of preparation may create difficulties. A stronger ASEAN with AEC 2015? Unlike the EU, ASEAN has no history of pan-regional unity at any time in the past. The ASEAN countries were never united under a common system of government, law, language and religion as was the case with the Roman Empire in Europe. The roots of the ASEAN grouping can be found in the region’s opposition to Communism in the 1950s, which led to the formation of the Southeast Asia Treat Organization (SEATO). The motivation for increasing economic co-operation in the 1990s was the threat of competition from China. Realistically speaking, ASEAN integration will be fraught with difficulties. Since the rise of China and its increasing global share of trade and FDI, each ASEAN member state has been vying for a larger share of the pie within the region – particularly in the arenas of FDI and tourism. The common culture and history that would facilitate greater regional co-operation is simply absent. Competition for FDI primarily involves Singapore, Thailand, and Malaysia. Even with AEC 2015 in the pipeline, there has been minimal cooperation in ASEAN-level FDI attraction and tourism. Despite calls for the ASEAN Secretariat to play a greater role in charting economic directions, ASEAN governments have been languid at best in empowering and elevating the Secretariat to playing a significant role akin to that of the European Commission. Risk of over-exuberant inflows of capital. The timely implementation of a unified trade and investment area before 2020 is highly dependent on a myriad of factors. These include trade specialization by member countries and improved intra-ASEAN political relationships. As with the motivation in the formation of ASEAN, member states’ economic relationship with China will be critical in deciding if ASEAN will grow stronger. Should any individual member state be able to cultivate a strong partnership with China, the need for ASEAN cooperation would become less attractive. Besides, as each member experiences good growth, the will and desire to unite within the region will, paradoxically, dwindle. In other words, the successful implementation of a unified economic community highly depends on the economic insecurity of individual member countries. The AEC will definitely be launched by 2015. But its impact will only become apparent after 2015 and will depend on many factors that are difficult to foresee. For international companies, the bottom-line is clear: the AEC will become a reality one day, but 2015 should be seen as the end of the beginning of ASEAN economic integration rather than the ultimate deadline itself. The ASEAN countries were never united under a common system of government, law, language and religion as was the case with the Roman Empire in Europe.